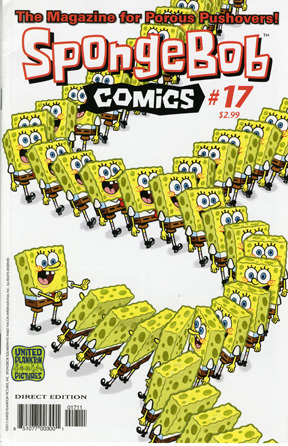 After years of helping edit SpongeBob SquarePants stuff at Nickelodeon Magazine, and spending the past year writing one page stories for the SpongeBob comic book (published by Bongo), I can now add having drawn a SpongeBob comic to the the list! 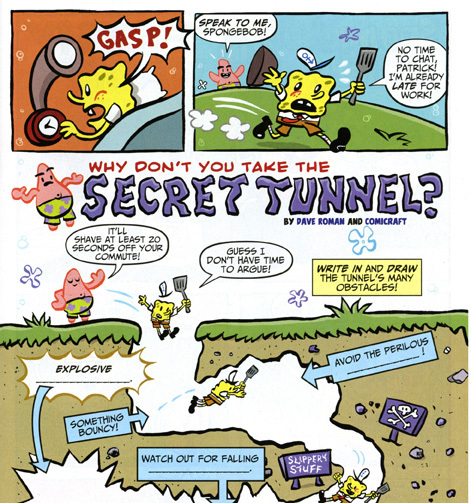 I wrote a drew a one pager called “Secret Tunnel” that appears in issue #17 of SpongeBob Comics. Like the one’s I’ve written for past issues, it is a fill-in the blanks story but this time drawn by me & completely in my own art style! Huge thanks to editor Chris Duffy for giving me this fun opportunity. Pick up the book at your local comic shop to see the rest! 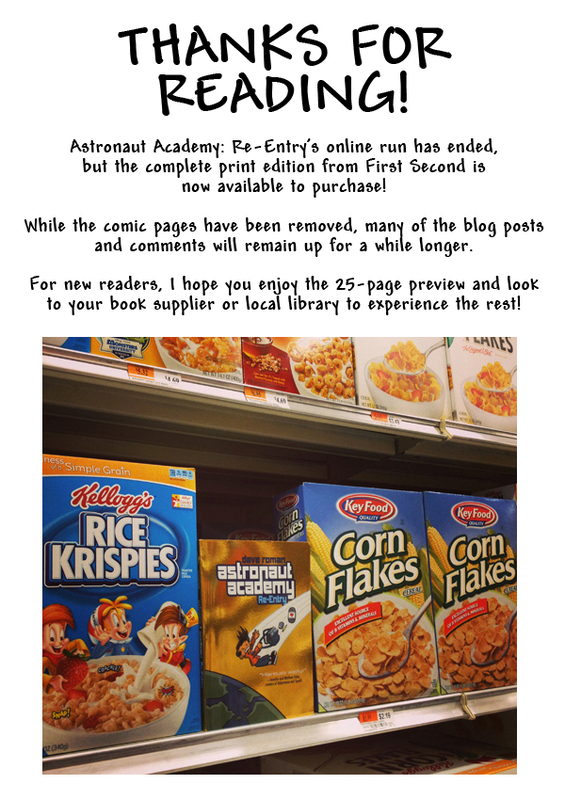 There’s several other great stories by folks like Bob Flynn, Dave Degrand, Robert Leighton, Gregg Schigiel, Corey Barba, Vince DePorter, & more! Curses! Now I have “Secret Tunnel” From Avatar the Last Airbender playing in my head!